It's official! 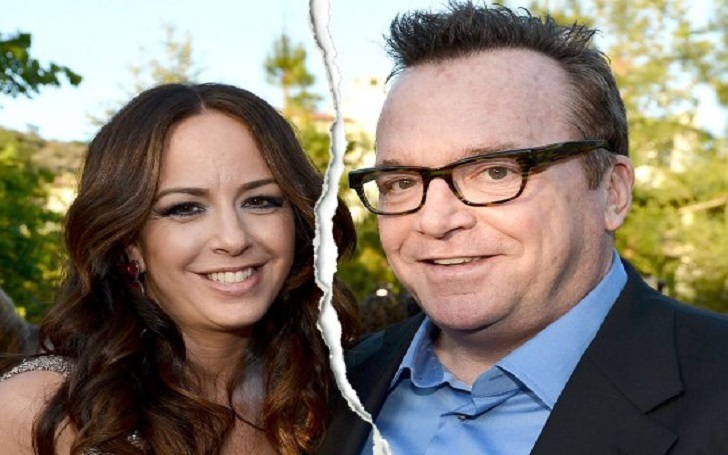 Tom Arnold has filed for divorce from estranged wife Ashley Groussman. The True Lies star filed the divorce papers in Los Angeles on Wednesday, February 6, multiple sources have confirmed. The actor, 59, cited the reason for the split 'irreconcilable differences', however, he didn't list the official date of separation. As we previously reported, the Hit and Run star confirmed to Us Weekly last month that he got split with his wife after nearly 10 years of marriage. Noting that Ashley recently moved out of their home, the actor told the outlet, "It’s a long time coming and we have been together for almost 11 years. And very grateful". He continued at the timed, "I have many good years. I have my children because my wife". Tom and Ashley had become married in November 2009 in Maui County, Hawaii. The estranged couple has two children, a son, Jax Copeland Arnold (b-April 2013) and a daughter, Quinn Sophie Arnold (b-December 2015). Days later, the former Roseanne star revealed to the publication that he and Ashley had been seeing a parenting counselor, Robin Berman, for quite some time. Tom was previously married to Roseanne Barr (1990 - 1994), Julie Armstrong (1995-1999) and Shelby Roos (2002-2008).